Learn Numerology | Learn Numerology Online | Numerology Courses. 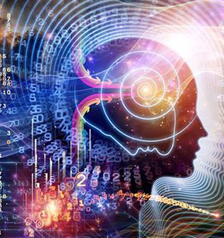 This course can be joined by all persons who have an interest in numerology and also by the persons who wants to pursue numerology on a professional level also. In online mode you can study Numerology sitting at your house or office place through video chatting while in offline mode, you will have to visit our centre in Janak Puri. Numero-Scope, its utility and method of preparing Numero-scope. How to calculate your lucky number, year of change for you. Examination and Certificate - On completion of course, an assignment for online students and practical examination for offline students would be conducted. On successful completion of course a certificate is awarded for the relevant course. An aggregate of 50 % marks is regarded as minimum percentage for qualifying this course. After successful completion of course a certificate is awarded for the relevant course. An examination fee of Rs. 1,500 would have to be deposited at the time of filling up the examination form. How to enroll - Students desirous of pursuing this course need to deposit or transfer the fees in our bank account, details of which can be seen in payment information tab at our website. 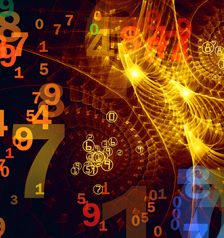 Advanced course in Numerology is designed for those students who have completed basic numerology course and are serious enough to pursue their passion of numerology either in their own personal life or in their professional career. In this course, Acharya Ji would discuss in detail the predictive numerology part which is crucial in predicting events for the native and it is also very useful in suggesting remedies to the client. Practical numero-horoscope would be discussed and applied to the different cases. Acharya Ji has vast experience of numerology and is an authority on the subject and student studying numerology would be able to appreciate practical approach of teaching with the help of live examples. This course is a must for those people who have an avid interest in Numerology or who want to build their career as a professional Numerologist. This course is also useful for those people who are practicing astrology and want to improve effectiveness of their remedies through using numbers to improve services for the clients. Please note that admission to Advanced course in Numerology would be given only to those candidates who have completed our Basic course (Level 1) and are serious & competent enough to study Numerology at advanced level. For this purpose, a Viva-Voce could also be taken before granting admission. How to make your name more powerful by adding or changing letters in it? How the right name of child should be selected? How to predict success in examinations? Practical cases analysis to find out how through change of name and letters they have achieved success in their ventures. How to select the most effective company or brand name as per Numerology for greater success in business ventures? How to choose right phone number? How Numerolgy powered E-mail Ids, Passwords and Mobile Numbers create more powerful and effective communication which generates more business and sales? 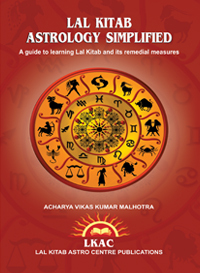 How to use Astro-Numerology for powerful Signatures? Looking at compatibility of persons in your marriage life and business venture by analyzing their names numerologically. How to select the most powerful and beneficial numbers in order to select the most beneficial dates, and timings and everything that is related with numbers? Predicting health issues, causes and suggesting remedies through use of numbers. How to recommend numerological remedies to clients? Calculating money number and its relevance. Examination and Certificate - On completion of course, an assignment for online students and practical examination for offline students would be conducted. On successful completion of course a certificate is awarded for the relevant course. An aggregate of 50 % marks is regarded as minimum percentage for qualifying this course. After successful completion of course a certificate is awarded for the relevant course. An examination fee of Rs. 2,000 would have to be deposited at the time of filling up the examination form. 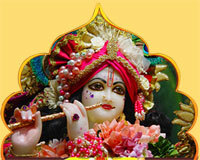 How to enroll - Students desirous of joining this course need to send their application through email to us at lalkitabastrocentre@gmail.com and on scrutiny of particular application, eligibility of candidate and time available with Acharya Ji, candidate would be permitted to deposit fees in our bank account. Please note that complete study material would be provided by our centre for Basic as well as Advanced course. Important Note: There are some people who are interested in getting a demo class before taking admission. These people can take one demo class of one hour on deposit of Rs. 2100 in our bank account. An application would have to be sent at our email id lalkitabastrocentre@gmail.com with details of fees deposited for demo class. It may be an online class or offline class depending on the preference of candidate for the course. Students desirous of pursuing Numerology course (basic or advanced) can deposit balance fees after the demo class in our bank account. For registration and other information feel free to contact us from 11.00 a.m. to 6 p.m.